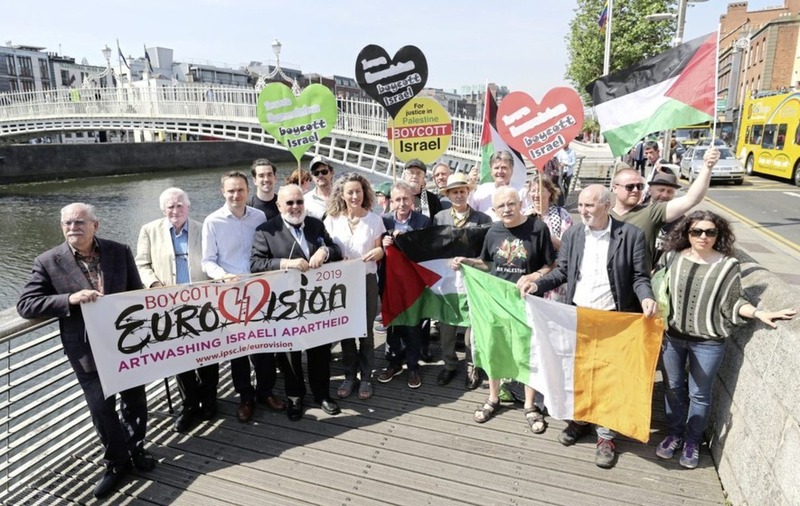 Irish artists and activists have launched a campaign to boycott next year's Eurovision Song Contest, which is set to take place in Israel. Well-known figures from the arts world joined forces with human rights campaigners calling on Ireland not to send an entry to the song contest. 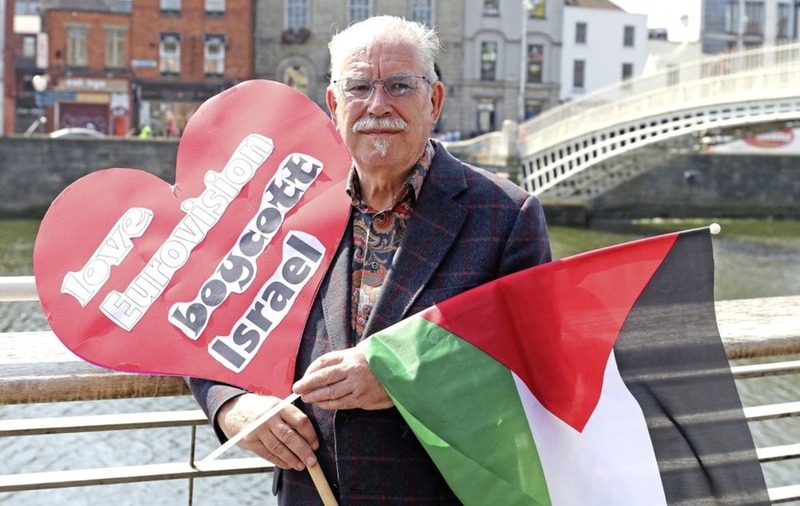 Organised by the Ireland Palestine Solidarity Campaign (IPSC), the campaign kicked off at Dublin's famous Ha'penny Bridge. A petition set up in support of the boycott has been signed by almost 3,500 people. Also backing the call are the Musicians' Union of Ireland, the trade union for musicians, singers and music professionals, and Irish Equity, the trade union for actors, dancers, directors, and stage and set builders and designers. 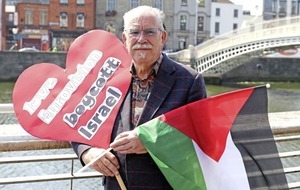 Among the protesters was Irish artist and Riverdance set designer Robert Ballagh, who said: "I have always supported the rights of the Palestinian people and I'm very concerned that the Israeli state will use the possibility of staging Eurovision in Jerusalem as a propaganda exercise and I become uneasy when any state begin to employ culture as a propaganda tool. "We've seen the dangers of that in past history. "I want to urge RTÉ not to send an Irish song to the contest." Senator David Norris said it was "inappropriate" to hold an entertainment contest in Israel. He said: "Dum-dum bullets, which expand in the wound and create appalling injuries, are being used against children in Gaza. "I think it's very inappropriate to have an entertainment [contest] there when all this is going on a couple of miles away. "I think people will pay attention if Ireland pull out because it has such a history in the song contest. "It's loved all over the world but a lot of people would be sensitive to this. "It's nothing against the woman who won the contest but it is against having it in that country which is behaving in an appalling way." Irish artist Felim Egan, who has been involved in sending flotillas to Gaza, said he was held for nine days in an Israeli prison when he attempted to enter the country a number of years ago. "I have heard stories of people's everyday life in Gaza and their resilience is remarkable given the conditions they live in," he said. "No water, no sanitation and this is all deliberate actions from the Israelis. "It's a terrible situation for them. "The more of us to get behind the campaign the better. We should not let it disappear." Former Eurovision host Carrie Crowley said she wanted to help raise awareness for the people of Gaza. 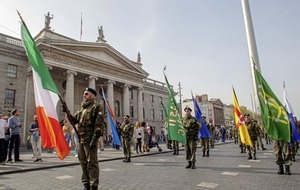 Crowley, who co-hosted the show in Dublin in 1997, said: "There's a resonance with the situation in Palestine for Irish people because in our past we were disenfranchised and taken over by a superior power. "We understand what it's like to be evicted from homes, to lose our land and properties and feel like we've no entitlements anymore. "Our relationship with Great Britain has improved so much and I would love to think Palestine and Israel could look to the future and maybe do something similar. "I want to raise awareness of this as there's so many people who love Eurovision and we could draw their attention to it."